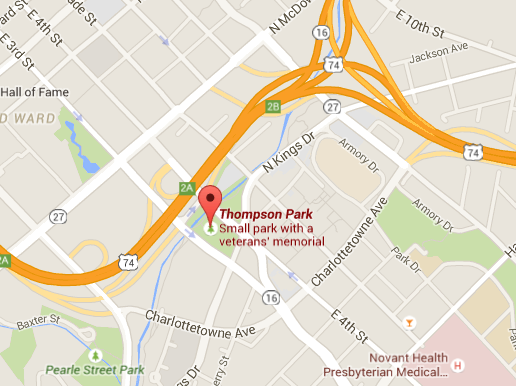 A couple months ago I was walking Little Sugar Creek Greenway and for no particular reason decided to veer slightly off the path up to Thompson Park, three acres of green space at the corner of East 3rd and South Kings. 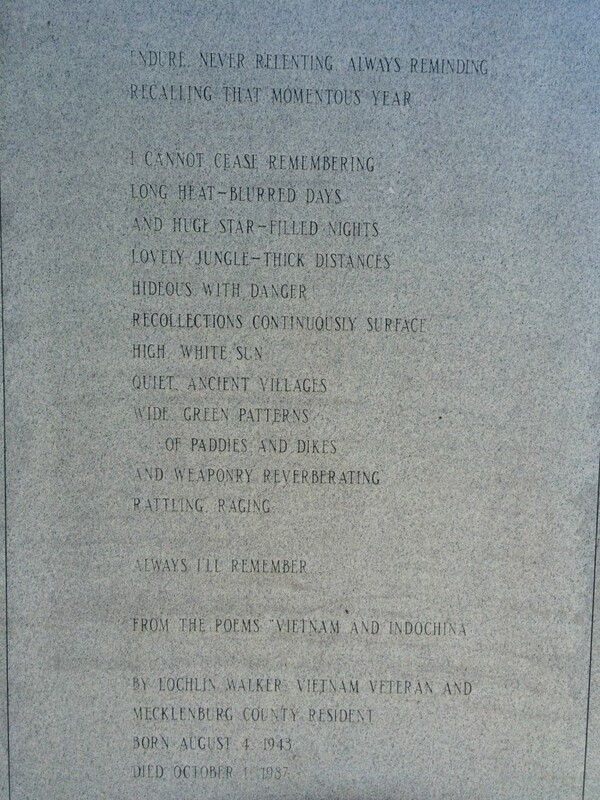 I know it’s there and that it’s home to St. Mary’s Cathedral and the Mecklenburg County Vietnam Veterans Memorial but, like so many still-new-to-me Charlotte spots, I had yet to actually explore it until that afternoon. I have an admittedly self absorbed and simple life compared to the men and women (and their families) who carry the weight of the stress, anxiety and emotional burden that is military service. I’ve grown up watching my granddaddy dutifully place flags on veterans’ graves on the appropriate days but for me, national holidays like Memorial Day have regrettably always just been long weekends when I hope for great weather. 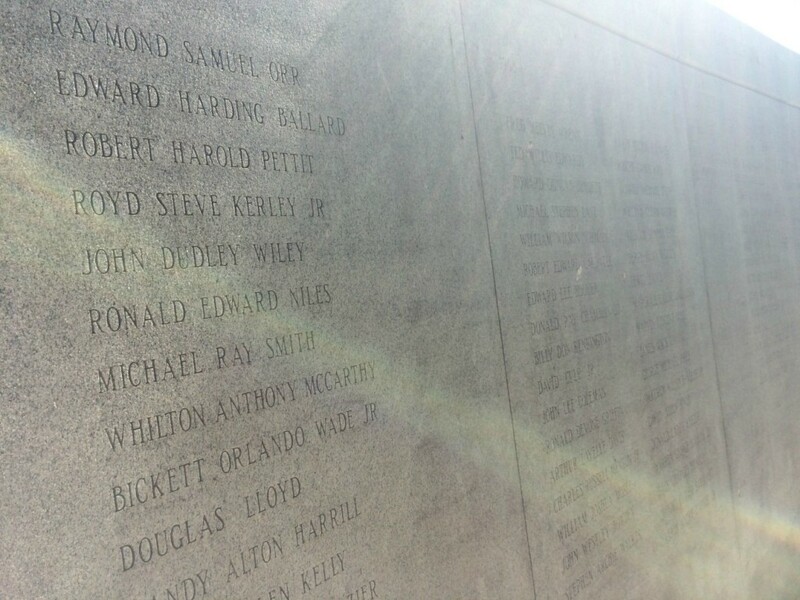 If you’re like me and a bit disconnected from what this day really is, Charlotte’s Vietnam wall is required viewing as a spot to honor those who gave the ultimate sacrifice to serve our country so we can enjoy days off and nice weather. The wall was dedicated in 1989, built with $356,000 in funds donated by corporations, foundations, veterans groups and individuals. If you follow the wall from left to right you’re taken on an engraved historical narrative of the Vietnam War from 1959-1975. Contextually, the words move you through a chronological timeline of events. 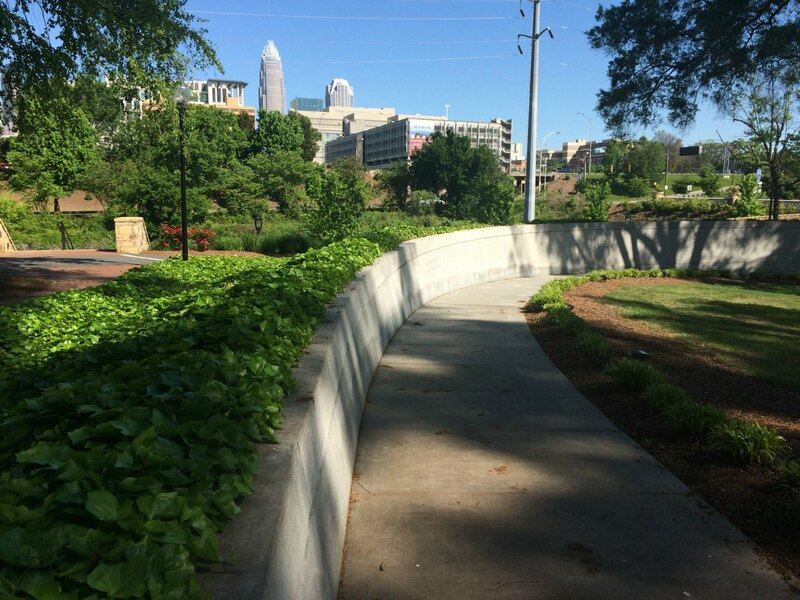 Physically, the gradual slope of the 270-foot wall slowly overtakes your line of sight until the names of 105 fallen soldiers from Mecklenburg County towers over you. I don’t know if they designed it that way on purpose–so that you can’t see anything but the names at the end–but it stopped me in my tracks. 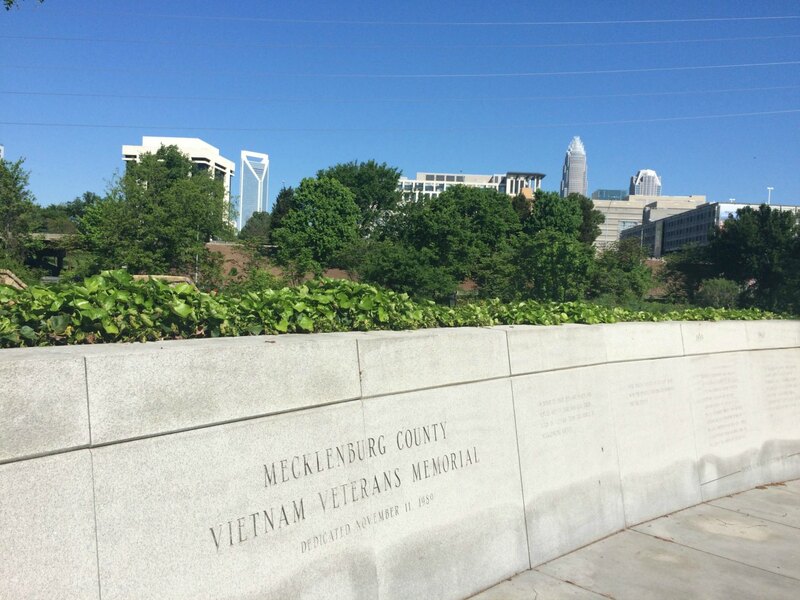 Give the Mecklenburg Country Vietnam Veterans Memorial a visit today or any day. It’s worth our time. And to the families of those who have given the ultimate sacrifice in service, we see you.